Jackie Chain, Scotty + RaRa – Pimpin’ Mane (prod. Kato of SMKA) [LEAK] – Be Fearless. Be Flagrant. 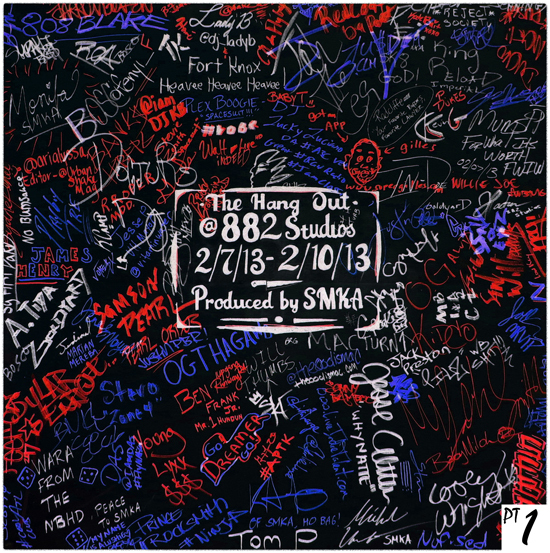 Atlanta production collective, SMKA, blocked out 882 Studios for 4 days, and invited many of Atlanta’s most talented and progressive hip-hop artists to hang out, eat, drink, collaborate and make music. The Hang Out took place from February 7 – 10, and for 14 hours a day, 4 days straight, Justin Padron, of 882 Studios, recorded artists over SMKA production. The Hang Out compilation features more than 50 different artists on 20 original records produced entirely by 808 Blake and Kato of SMKA. The Hang Out showcases the depth of talent, and diversity, that makes Atlanta’s hip-hop community the most creative and influential in the world.